Déjà vu is a feeling that something has already happened before. 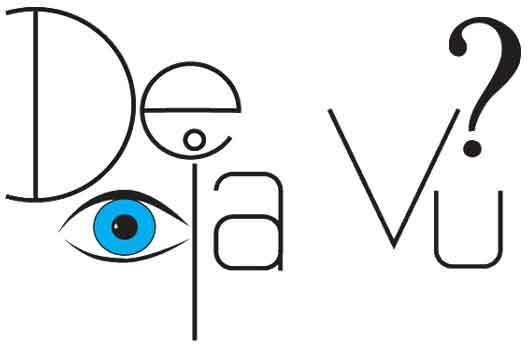 Déjà vu is a French word that literally translates into “already seen”. It is a feeling you get when something that is happening right now, feels like it has already happened to you before. Déjà vu is a phenomenon that practically everyone experiences at some time or another. It is a strong sensation that you have already been in this same situation before. However, it is not a situation that is similar to this, but this situation exactly. The situation in reality may or may not have happened before, but it certainly feels that way. For some people the feeling is so strong that they may in fact be able to predict what will happen next. The reason this feeling occurs is not exactly clear, but scientist believe that it could be because of a memory anomaly, where there is an overlap between the “short term memory” and the “long term memory”, which makes it appear that what is happening now is actually a previous memory.